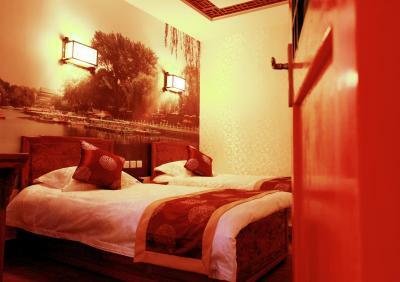 Lock in a great price for Beijing 161 Lama Temple Courtyard Hotel – rated 9 by recent guests! 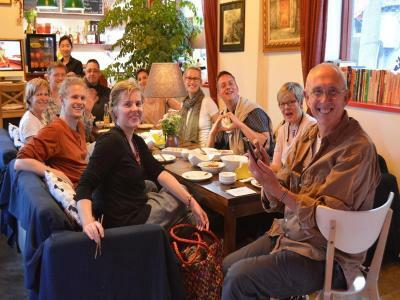 The hosts were very nice, especially the young woman who made the breakfast and obtained tickets to the sighs for us. That was amazing and extremely helpful. The beds were comfortable as I like firm beds. The breakfast was very good. We felt safe and at home here. The staff can communicate well in English which makes life easier for us. They are helpful in explaining the map of their neighborhood and get the taxi for us on the check-out date. We even left the luggage with them a few days before our check-in. 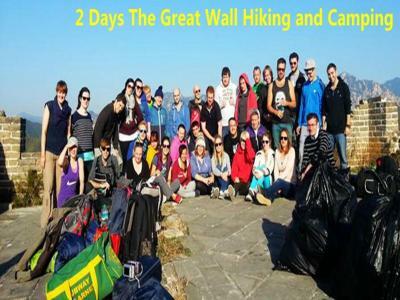 The staff were excellent, very accommodating and helpful. 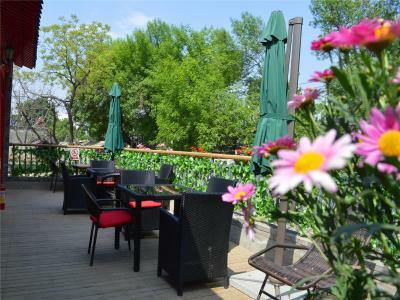 The location was really close to lots of restaurants and transport links. The room was extremely clean. The staff was great and explained me around. They let me do a late check out without a problem. Central location. Very easy to get from the airport by public transport. Plenty of dining options around. Very English speaking helpful staff. 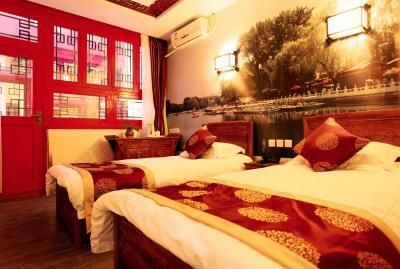 Only a 5-minute stroll from Yonghe Temple and Ghost Street, the 161 Lama Temple Courtyard Hotel features Chinese-style accommodations with free WiFi. It houses a tour desk with bicycle and car rentals for tourists and a business center for business travelers. 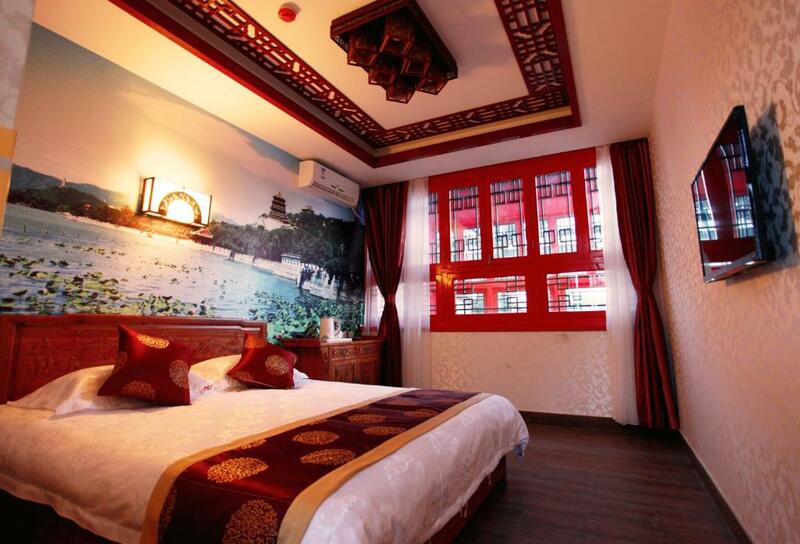 161 Lama Temple Courtyard Hotel is a 15-minute walk from Nanluoguxiang. It takes 15 minutes by taxi to Beijing Railway Station. Capital International Airport is about 30 minutes’ drive away. Beijing West Railway Station can be reached in 50 minutes' drive while Beijing South Railway Station is located 1 hour's taxi ride away. Beixinqiao Subway Station is 1,150 feet from the property. With traditional decor, all units come with a cable TV, a dining area, a work desk and a seating area. 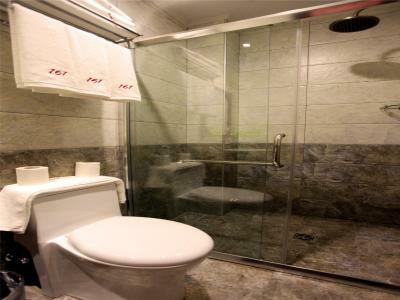 The private bathroom has a hairdryer, free toiletries and a shower. 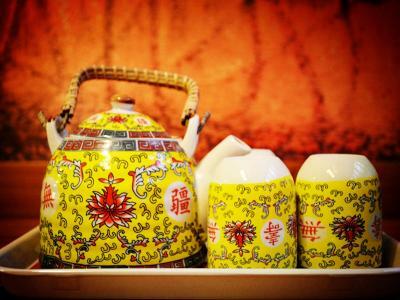 When would you like to stay at Beijing 161 Lama Temple Courtyard Hotel? This basic room has a flat-screen cable TV, a dining area, a work desk and a sitting area. Nicely decorated, this room has a double bed, cable TV, a dining area, a work desk and a sitting area. Nicely decorated, this room has 2 single beds, cable TV, a dining area, a work desk and a sitting area. 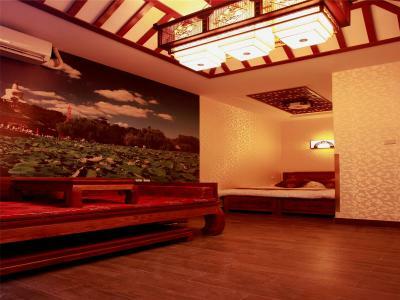 For up to 3 guests, this room has a single bed and a double bed. 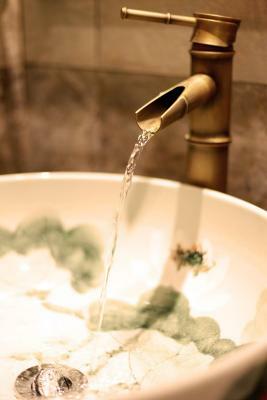 House Rules Beijing 161 Lama Temple Courtyard Hotel takes special requests – add in the next step! Greatwall Peony Dragon Pacific Jin Beijing 161 Lama Temple Courtyard Hotel accepts these cards and reserves the right to temporarily hold an amount prior to arrival. 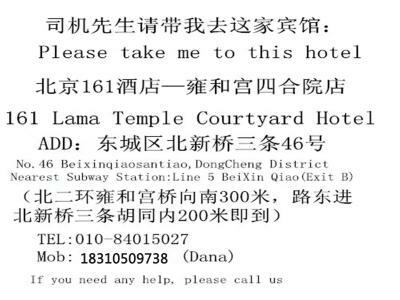 Beijing 161 Lama Temple Courtyard Hotel accepts these cards and reserves the right to temporarily hold an amount prior to arrival. - Please bring your passport or ID card when checking in. - The Key Deposit is CNY 200 in cash, which will be refund after checking out. - Please bring the map of hotel in advance. There isn't a 'court yard' in the building as the hotel name suggest. However, they do have a small open roof area which can only access by stairs. One of the family rooms that we booked was not on the ground floor (which is the first floor in Chinese). That became a bit of problems for lifting heavy suitcases up the stairs. Taxi is not allowed to drive though the hutong. If you are lucky, they will drop you next to the 'entrance' of the hutong , which guide by a local security. It will be extremely hard to get a taxi on a weekend, especially with a suitcase. 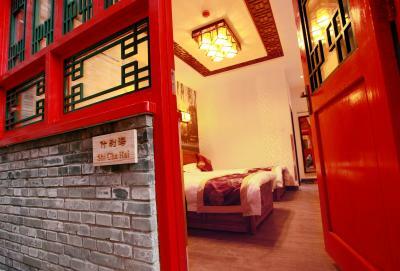 This is a traditional Chinese accomodation. 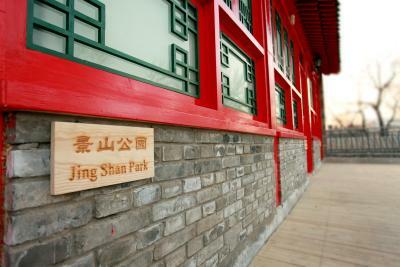 It situated in a 'hutong'. It allow you to experience how the local live. 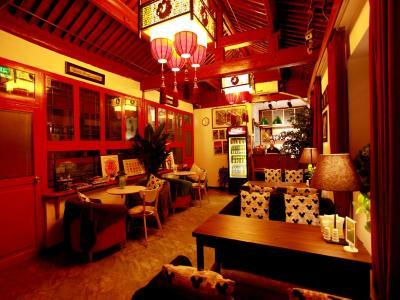 The location is perfect for you to explore the lama temple area; lots of eatery, mobile/phone shop. The hosts tried her best to assist during our stay. In China, you can order a taxi via apps, your host can do this for you. The staff where excellent and friendly. Jen and Sisi made my 4 boys so welcome and played with them. They gave us advice on everything we needed . The hotel wouldn't be the same without the staff. Staff - they were extremely nice and helpful. 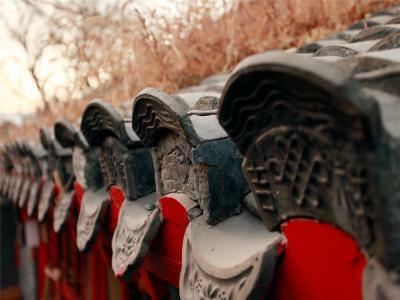 They recommended to us where to go, what to see and booked Great Wall tour (without shopping!!!). 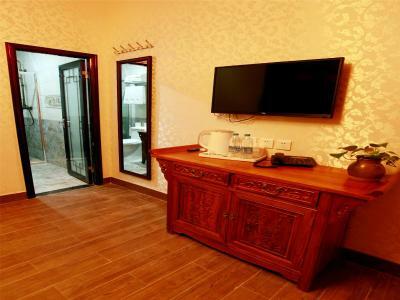 This small Hotel is located close to two metro stations and at walking distance from the Lama Temple. Moreover within 5 minutes walk you can reach the 150 restaurant street where you can find an incredible wide variety of food. The staff can manage English very well and is always available to help. Last but not least, they provide guests with a Chinese cell phone with free internet and both local and international calls. There was not much room to put our clothes away or to hang clothes, which got annoying with two adults in one room. The glass shower door must have broken at one time and it was replaced with a shower curtain, which had seen better days. The corners in tile shower need a good cleaning.